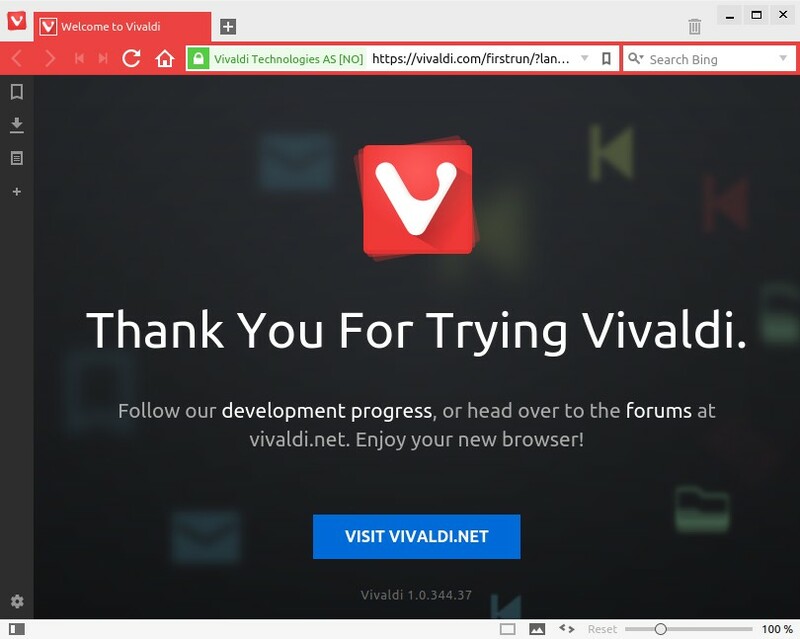 1.Go to vivaldi download page and download the .deb (32bit or 64bit) package file. 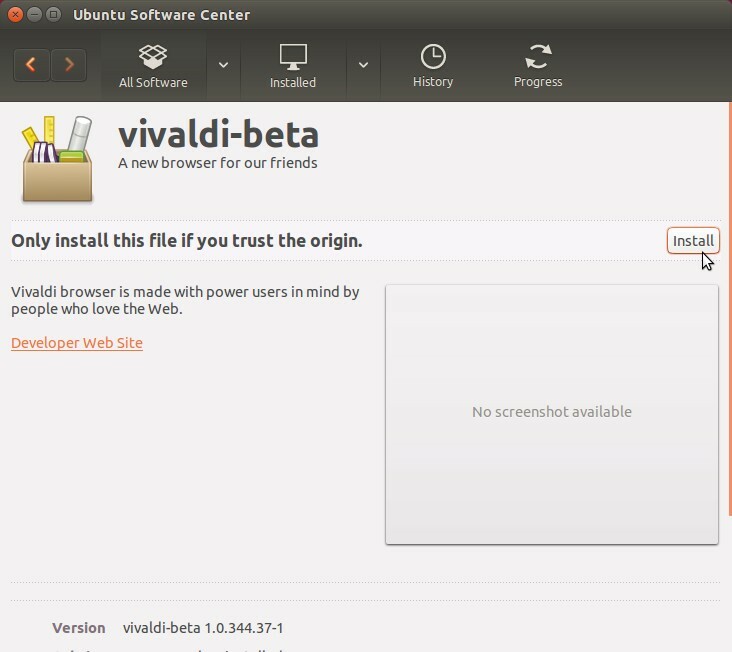 2.Double click the downloaded .deb file or open with ubuntu software center. 3. And click the install button.Type your ubuntu password if needed. 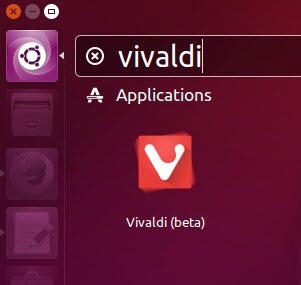 4.After the successful installation, click the Dash home from unity launcher.And type vivaldi in the search field.And click vivaldi to open the browser.